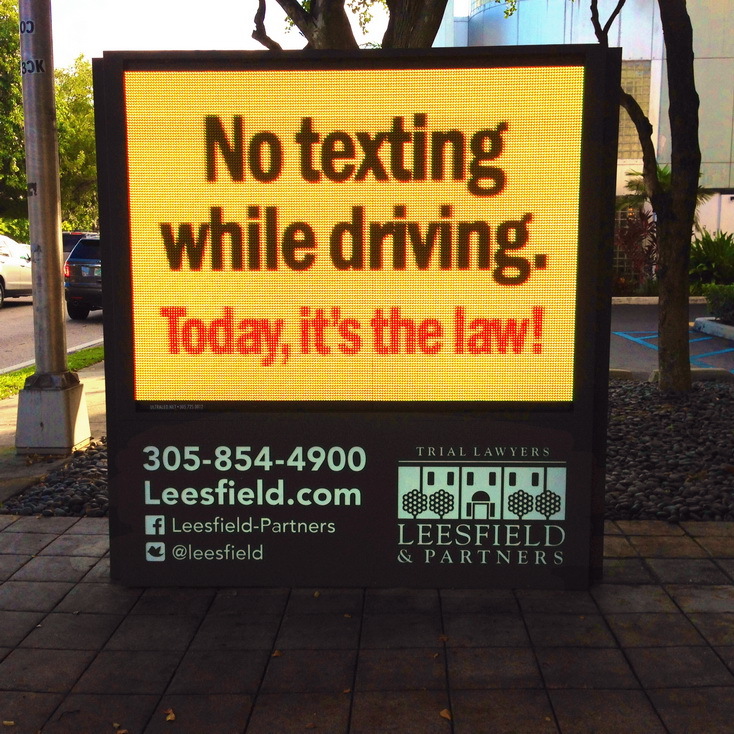 Florida on its way to ban texting-while-driving? How a worthless piece of legislation will keep roads unsafe. Essentially, the law does not place any incentive on drivers to do the right thing and stop using their cell phones while they are behind the wheel. The new law has numerous built-in exceptions and exemptions that allow drivers to lawfully use their phone in the car. First, if your car is stopped, at a red light or a stop sign, you can use your cell phone at your leisure. That includes texting, checking your emails, browsing the internet, watching a video online, etc. If your car is actually moving, you can still lawfully use your phone for certain tasks such as using voice-commands, checking a GPS map and directions. You can even read text messages if they contain ‘address’ information or ‘directions’. In other words, you can still use your cell phone while driving and should you get pulled over, explain that you were looking at your cell phone map for directions. More than likely however, you will not get pulled over and you will not have to explain yourself to any police officer. That is because the new law is a secondary offense, meaning that unless you commit a primary offense for which you can get pulled over, you will not have to fear police officers stopping you if they see you texting on the road. – Drivers who use hand-held devices are 4 times more likely to get into crashes serious enough to injure themselves and others. The behavior has reached epidemic proportions in Florida, and unfortunately the new law will do nothing to curb that reality. Florida residents must police themselves to increase safety on the road until the law is changed and gives law enforcement the tools it needs to produce a statewide behavioral modification.